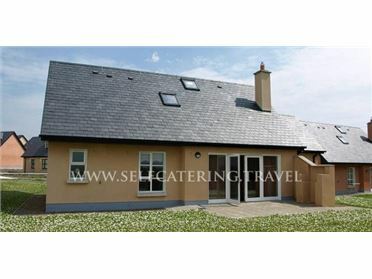 The Quoin Stone and Arch Court are two 4-Star Bord-Failte approved self catering cottages in a village setting in Drumconrath, North Meath. The accommodation, which is an old barn conversion, circa 1840's, has been restored to incorporate modern day living yet retaining many of its original features. The Quoin Stone which is a 3-bedroom house, accommodating 5 people and the Arch Court which is a 2-bedroom house, accommodating 4 people. The property is in the village of Drumconrath which is a 40 minute drive from Dublin Airport and a 1.5 hour drive from Belfast. It is a rural farming village set in drumlin countryside and surrounded by small lakes. It is a long-established angling centre for course fishing. Lakes in the area include Lough Bracken and Ballyhoe Lake and the smaller lakes of Corstown and Balrath. Freshwater fishing in the River Dee is also close by. There are many picturesque walking areas including Dun a Ri National Forest Park, local bog walks and local lake walks. It makes a great touring base for both the East and North Coasts of Ireland with their choice of historical sites including Newgrange, Hill of Tara, Loughcrew Cairns, Mellifont Abbey, The Jumping Church. We are approximately 40 mins drive from the nearest beach of Clougherhead and a short drive from the Cooley Penninsula. We have bicycles and fishing rods available.